Today we are taking a bit of a different turn. Instead of an interview, KHPR is presenting a lecture by Dr. Stephen Flowers an Ipssisimus of the Temple of Set and the Magus who uttered the word Runa, which means “seek the mysteries.” Dr. Flowers gave this lecture at the recent Conclave held in Austin, Texas and is an accomplished writer of over twenty books on Runa and related subjects. 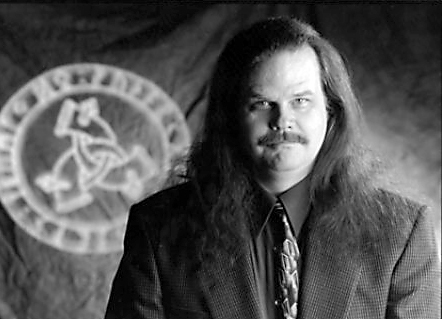 In 1980 he founded the Rune-Gild, the world’s largest and most influential initiatory organization dedicated to Rune-Work and the Odian path. For more information on Dr. Flowers work you can visit his community website at www.edred.net. Dr. Flowers also hosts the thrice weekly Radio Free Runa podcast on this site. As always you can email us at radams@khprvod.org or via skype at KHPRshow and follow us on Twitter @KHPRvod. You can also sign up to receive an email whenever a new show or post is put up. Just use the subscription form to the right which includes an opt-in ability so that no one can sign you up without your knowing about it.